Nioh introduces a unique mechanic called Ki Pulse, which allows you to instantly restore your expended stamina in the middle of battle. In the middle of a combo string, keep an eye on your Ki bar. When the bar flashes white, hit the R1 button to activate Ki Pulse, and you’ll immediately restore the stamina that you’ve just used up. If you purchase the Flux skill, you can restore slightly more than what was expended, provided the bar isn’t already full. Another neat thing about Ki Pulse that may not immediately be obvious is that activating it can dispel the black and white yokai pools on the ground. Whenever you encounter a large oni, you’ll find that the beast occasionally spreads a black and white aura on the floor, and stepping in it will cause your Ki regeneration to slow down drastically. However, activating a Ki Pulse while standing in the pool will actually cause the pool to dissipate completely. 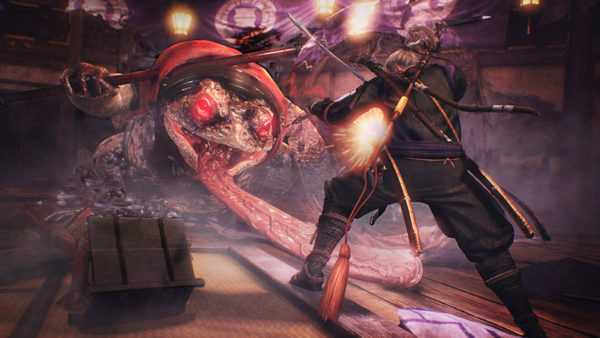 Many bosses in Nioh employ these yokai pools in their strategy as well, so make sure to counter it with the Ki Pulse. 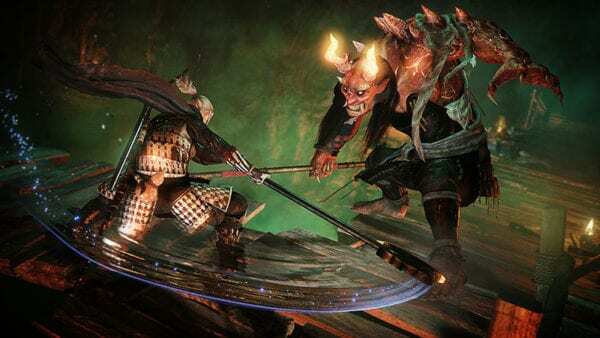 Before you do anything else in Nioh, head over to the shrine and click the R3 button to establish an online connection. This will allow you to play online, and you’ll now be able to see the Revenants of other players. Revenants are essentially an AI-controlled version of a player character who has died in your area. You’ll see their grave sites every now and then, and you can stand near a grave site to view player details like their username, level, and more importantly, the rarity tiers of the gear they have on. By summoning a Revenant from the grave site, you can defeat it for a chance to earn one of their gear pieces. If you see a Revenant with a purple katana, you’re going to want to try your luck for it. Do note that even if you do receive their purple gear, the bonuses and perks won’t necessarily be exactly the same as the player’s own. The bonuses seem to be completely random, so if you see a weapon or armor piece that you like, consider farming the Revenant until you get the drop with the rolls that suit your play style best. As you make your way through Japan, you will occasionally find little green yokai hiding around the area. They’re often found hiding in little nooks and crannies, but are easy to spot because of their bright green color. If you spot one, make sure to go interact with them and send them back to the shrine. Collecting the little green guys will unlock Kodama Blessings at the shrine, most of which can be incredibly helpful. For instance, there’s a healing blessing which increases your chances of finding healing items – a handy boon, especially if you find yourself constantly running low on Elixirs. Do note that Kodama Blessings will cost you a bit of money, but it’s nothing too crazy. There’s also a Kodama Blessing that increases your chances of finding raw materials. 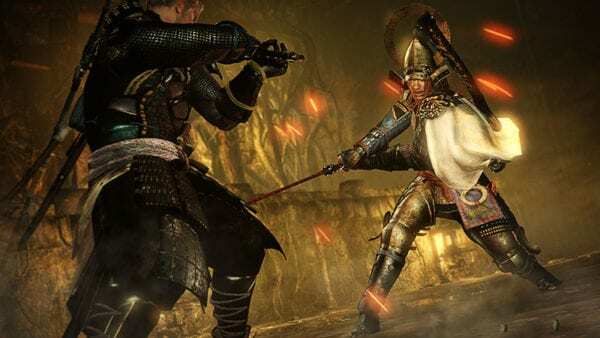 When you’re just starting out in Nioh, this won’t seem terribly important, but I advise picking that Blessing once you’ve got a good handle on the game, because that’s how you get the really good weapons and armor. Speaking of weapons and armor, make sure to visit the blacksmith in between missions. Here is where you’ll get to craft new weapons or even enhance existing ones. It can be tempting to simply enhance your first katana which you’ve achieved maximum familiarity with, but trust me, there’s always something better out there. If you’re not a fan of farming enemies and Revenants for the perfect weapon drops, try your luck at the blacksmith instead. With the right amount of money and materials, you could potentially even craft purple gear fairly early on in the game. Of course, there’s a bit of RNG involved in this process as well, and even the best purple weapons you craft might not have good rolls or perks that suit your character build. It can be frustrating trying to craft the perfect weapon, but this seems to be the fastest way to get all the gear that you need, from my experience. 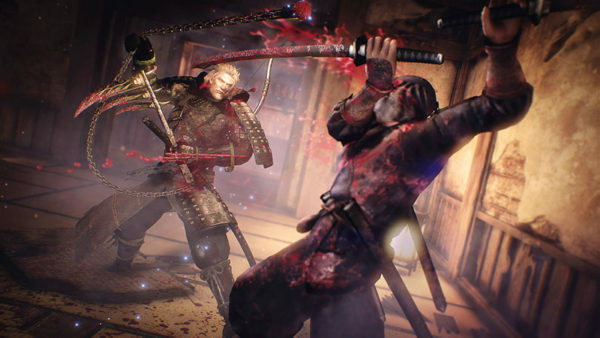 It should go without saying that Nioh is the kind of game that wants to test your patience and focus. As such, you’ll frequently run into enemy hordes or little pathways that seem impossible to get through without having to fight ten guys at the same time. When this happens, start exploring. The fun thing about Nioh is that there’s almost always an alternate path that will get you where you need to go. So if you’ve run into an enemy wall, chances are that the game wants you to look for a better and easier path. Aside from the main missions that are required to progress through the story, there are also sub-missions and Twilight mode missions as well. I highly recommend going through the sub-missions whenever they pop up, as they can be a good source of Amrita and a chance to find new gear. The main missions do seem to have a steep climb in difficulty as you progress, so going through them too fast may cause you to feel a bit underleveled in later mission. The Twilight missions are essentially much harder versions of main missions that you’ve already cleared. In this mode, enemies hit harder, and are more aggressive. You might also encounter new enemy types in places you weren’t expecting. However, the upside of it is that you also stand a much better chance of finding purple gear in Twilight mode. Equipped with valuable knowledge of the layout and enemy behavior, you’ll be able to get through the Twilight levels without too much hassle. Here’s a head start to help you out.